North Scottsdale location located in the community of Terravita. Come see one of Terravita’s most sort after models – Nimbus with large casita! This home has been totally Remodeled – A three car garage with welcoming courtyard with entrances to main home and casita. Lots of open areas – bright and light! Large kitchen, family room, wet bar with wine cooler, den/office and you have three bedrooms and 3.5 baths. Lots of closets and cabinets! The backyard is private with great South exposure. There is a pool, spa and entertainment/BBQ area. The lot has a west side that opens to a large NAOS area. Very quiet interior lot! Directions: Take Terravita Way to Crested Saguaro. Left on to Crested Saguaro down one block and take first right on to Evening Glow. Follow Evening Glow – house will be on left hand side. Approximate size: 10395.00 sq. ft. 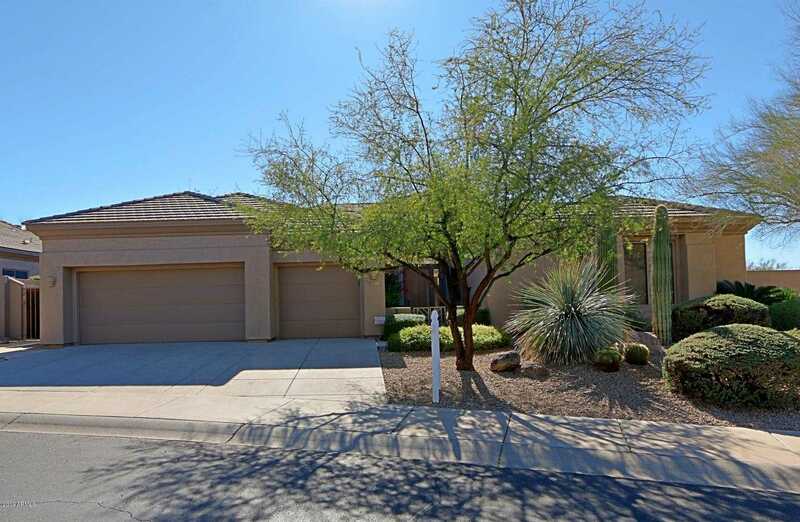 Please, send me more information on this property: MLS# 5911308 – $800,000 – 6317 E Evening Glow Drive, Scottsdale, AZ 85266. I would like to schedule a showing appointment for this property: MLS# 5911308 – $800,000 – 6317 E Evening Glow Drive, Scottsdale, AZ 85266.